IRELAND IS FAMOUS for one particular kind of beer – but it’s not the black stuff that we’re world-beaters in, according to the World Beer Awards. 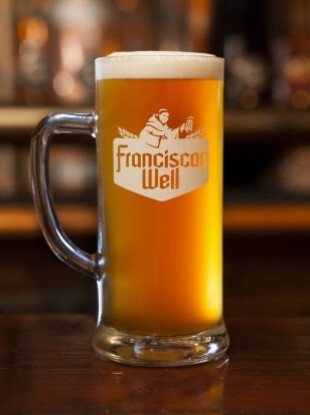 A brew from the Franciscan Well brewery in Cork has been named World’s Best Seasonal Pale Ale by judges at the awards in London. Their Summer Saison ale was victorious in the category – Ireland’s only global winner. Judges commended the Cork brew’s “yeasty-fruity nose” and also enjoyed its “nice soft fruit flavours” and “lovely finish”. We’re extremely proud to be on the same stage as international brewing legends. Humbled after the @worldbeerawards declared our Summer Saison as Best Pale Ale in the world! Also 2 gold, 1 silver, and 3 bronze medals! The World Beer Awards take place each year, and are judged by a panel of 50 brewers, industry reps and journalists in a blind tasting. The Franciscan Well brewery has been a Cork landmark since its foundation in 1998. It was bought by international brewing giant Molson Coors in 2013. - Written by Michael Freeman and originally published on DailyEdge.ie. Email “This Irish beer has just been voted the best of its kind in the world”. Feedback on “This Irish beer has just been voted the best of its kind in the world”.